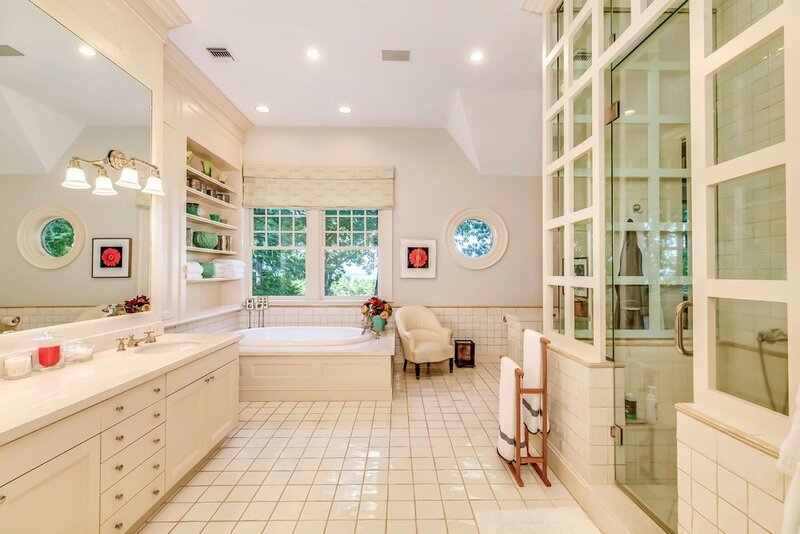 As featured in Architectural Digest, perfection is embodied in this custom built Hampton style home designed by famed architectural firm Shope Reno Wharton Associates. 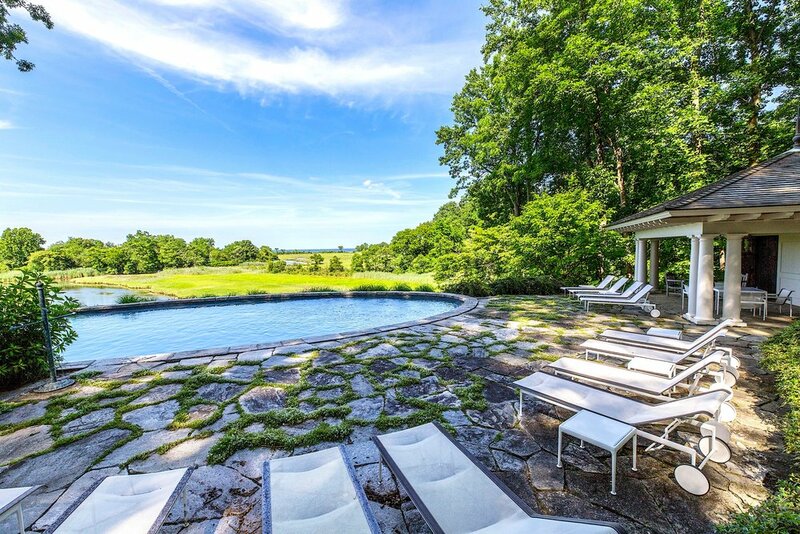 This estate is situated on 8.8 acres of secluded property with panoramic views of the water and multiple pathways to the beach. A circular drive leads way to the main entrance, opening into a foyer built around a light flooded staircase enclosed in a three-story turret. The first floor additionally provides a large living room with fireplace, formal dining room with fireplace, a state-of-the-art eat in kitchen with breakfast nook, a secondary service kitchen for entertaining, a family room with fireplace and vaulted ceiling, two powder rooms, a library with fireplace, a full bathroom and a bedroom suite. All of the rooms are outfitted with custom Marvin windows and doors overlooking the water. 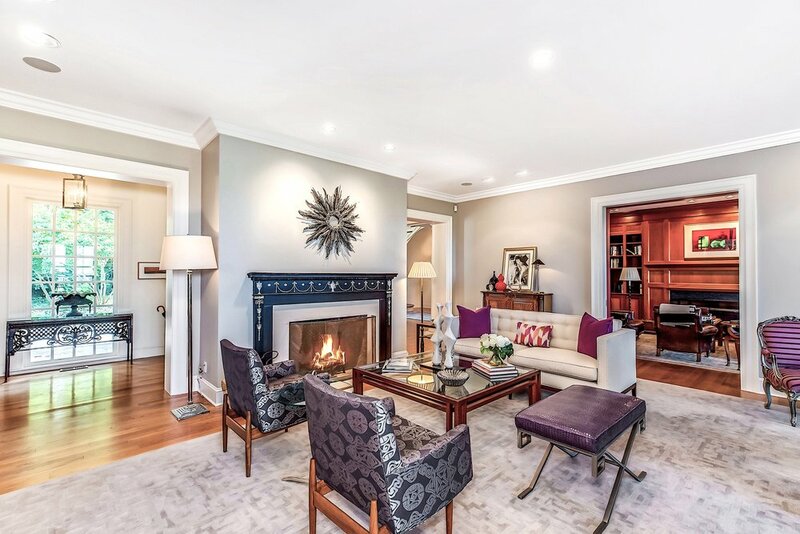 The second floor boasts an impressive master suite with vaulted ceilings, fireplace, master bathroom with steam shower and jacuzzi overlooking the water, his and her walk-in-closets and an office. An additional 3 bedrooms and 2 full bathrooms round out the floor. The finished lower level is outfitted with a media room, temperature controlled wine cellar, play area, home gym, powder room and full bathroom. The home has a four car garage and gas generator. 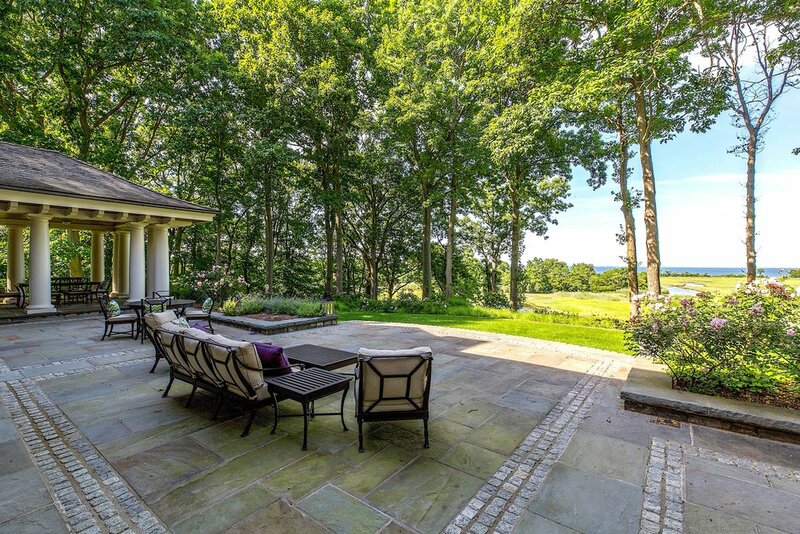 Famed Washington D.C. based landscape architecture firm Oehme, van Sweden & Associates, whose notable works include commissions by the Americana of Manhasset, New York Botanical Garden and Chicago Botanical Garden, were brought on to create a seamless blend of modern and natural beauty. The patios, stone lined saltwater pool and cabana with kitchen and full bathroom graciously transition into the natural hillside setting.